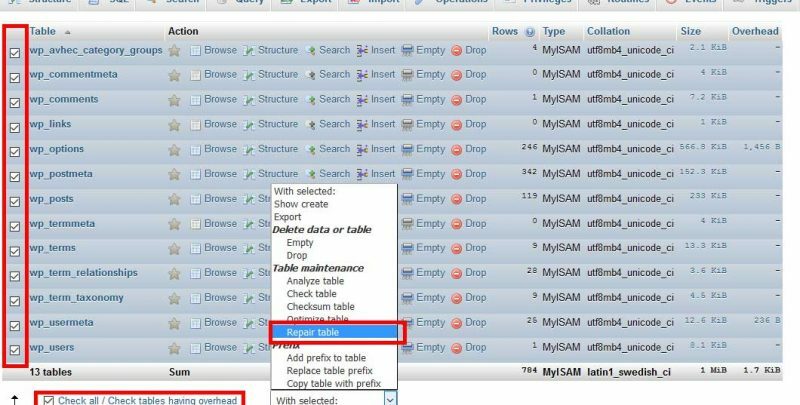 Fortunately, repairing a table with phpMyAdmin is easy. Log in to your phpMyAdmin or connect to it via your cPanel back-end. Select the database with the crashed table. Put a checkmark next to each crashed table or check all.